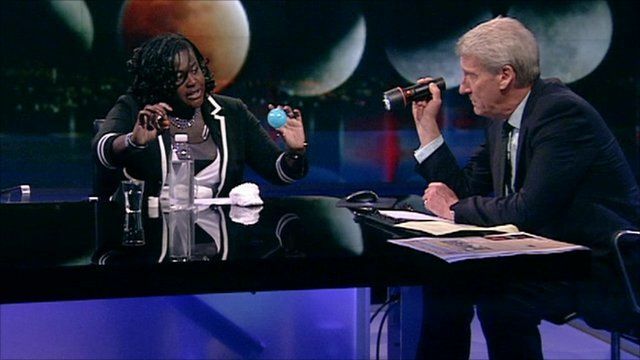 Space scientist Dr Maggie Aderin-Pocock explains to Newsnight's Jeremy Paxman why the moon looks blood red during a lunar eclipse. Their discussion came as people in parts of Europe, Africa, Central Asia and Australia saw their first total lunar eclipse of 2011. It was the longest in nearly 11 years, experts say.